Browse the latest holiday deals and special offers from Norfolk Broads Direct. Whether you’re looking for late availability deals or exclusive family offers, you’ll find all the very latest offers on the Norfolk Broads here. 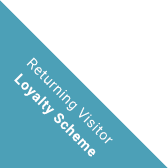 We always love welcoming you, our visitors, back to the Broads, and as a special thank you to you we have a Returning Visitor Loyalty Scheme. Every time you holiday with us you’ll receive a Unique Voucher Code, entitling you to a 5% discount off the hire terms of your next holiday. Please note only one voucher code to be used per holiday, voucher valid for 2 seasons after the season of issue, additional terms & conditions apply. Booking A 2 Week Boating Holiday? Save 15% off the lowest priced week for a 2 week holiday starting before the 20th June or after 29th August. Save 10% off the lowest priced week for a 2 week holiday starting between 20th June and 29th August. Book a 4 night mid-week boating break for the same price as a 3 night weekend break. Mid week breaks can start on either Mondays or Tuesdays. Should you need any further assistance in choosing the right boat to suit your party, then do not hesitate to contact us direct. 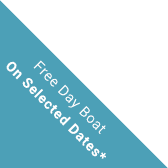 Enjoy a FREE Day Boat on selected dates when staying in either one of our holiday cottages. Half a day FREE for short breaks holidays and a full day FREE for weekly holidays. 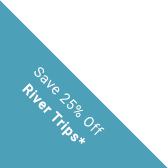 main season and offer a 25% discount to all our Waterside Holiday Home Customers on the daily tours. Join us on a Broad Tours River Trip, where you can sit back and relax as we slowly make our way through this enchanted landscape. With live commentary along the way, light refreshments and a licensed bar-what more could you ask for? River Trips are available from 1st April until 31st October. Discount not available on special or themed tours, evening cruises or Santa Cruise. Stay in one of our lovely Waterside Holiday Homes for a fortnight and save 10% off the second week price, offer valid for all our self-catering properties all year round. *River trips and day boats are not available between November and Easter. Discount not available on special and themed tours.